Learn more about the Stranger and his role in Kratos' latest adventure. The God of War series often plays host to bold and unusual characters, and the latest entry is no exception. A mysterious figure known only as The Stranger shows up within the game's first chapter and immediately makes his strength and skills in combat known, giving players a good reason to wonder who he is and what he's capable of. Those who have made progress into the later missions in God of War will come to know more about The Stranger; likewise, players who don't want to spoil any of the game's secrets can simply wait to have the game explain the Stranger's significance at its own pace. For everyone else, we're happy to provide some details below — just be warned that this information will contain spoilers. The initial boss battle encounter with The Stranger will leave some players reeling, concerned about whether or not the man is truly invincible. He's clearly skilled in battle, plus he definitely seems to be taking a specific interest in Kratos. Naturally, there's good reason for that. As it turns out, The Stranger is actually a moniker for the god known as Baldur. He's based on the god Baldr in Norse mythology, the offspring of Odin and Frigg, brother to Thor, said to have been so fair in appearance that he cast a light from his body wherever he went. 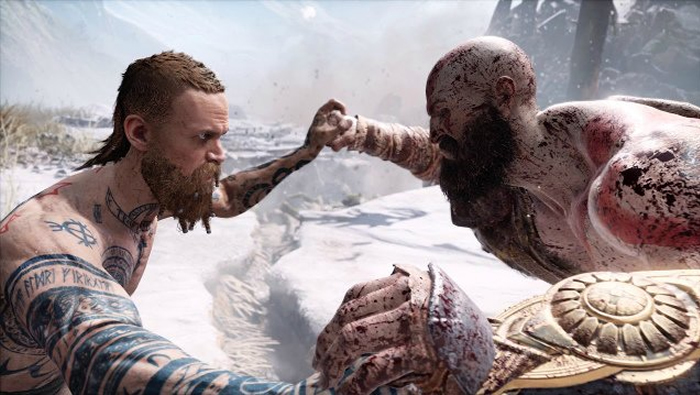 Things are a little different within God of War — in the game, Baldur is eventually revealed to be Freya's son. He keeps popping up throughout the adventure for a number of reasons, most of which are obvious. After all, Kratos is a renowned godslayer, and his presence in the Norse realms surely spells disaster for those who stand in his way. More than just another powerful figure to fight against, Baldur's role also ties into the game's themes of fathers and sons and the loyalties they share to one another. Freya provides assistance to both Kratos and Atreus, but Baldur is determined to take them out — a directive that's eventually revealed to have been given to him from Odin himself. Now that The Stranger's identity has been revealed, learn even more about Kratos' latest adventure by heading over to our God of War walkthrough and guide hub, full of stories detailing missions, collectibles, and more.